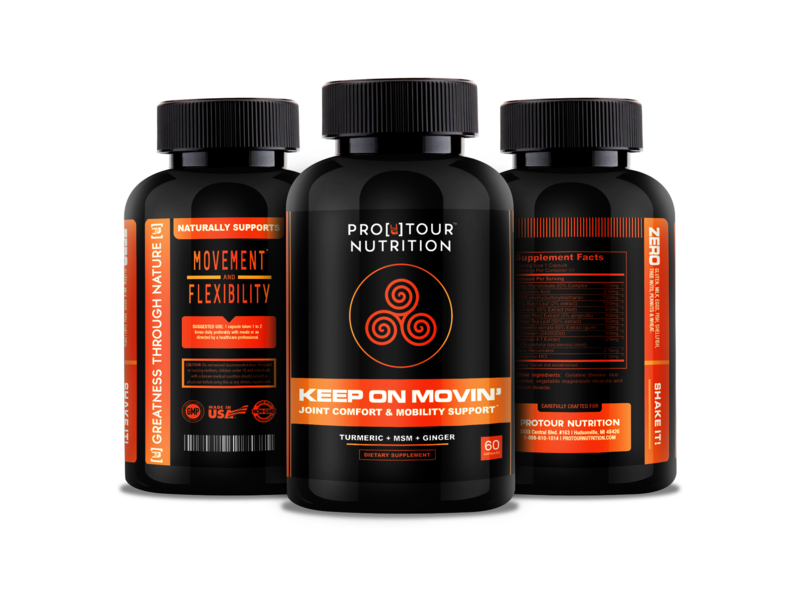 KEEP ON MOVIN’ Turmeric Curcumin with MSM to Support Joint Comfort & Mobility – Ginger, Skullcap, and Green Tea Leaf as Herbal Antioxidant and more, 60 Capsules ★ JOINT COMFORT & MOBILITY - We’ll keep you moving! 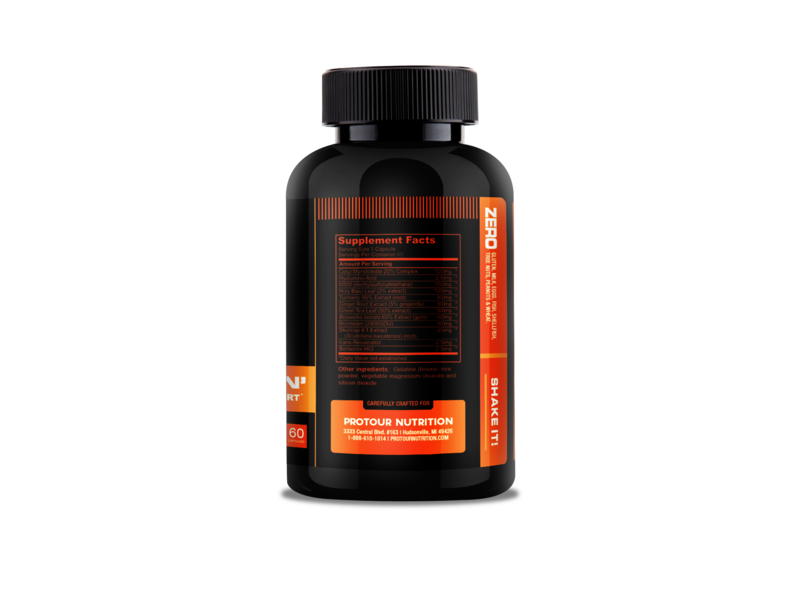 ProTour Nutrition’s premium Turmeric Curcumin supplement supports a healthy inflammation response and is carefully crafted to support a healthy, active lifestyle. In addition, turmeric curcumin is simply good for your health. ★ 95% STANDARDIZED CURCUMINOIDS - When you need a pure & potent supplement, you can count on our carefully-crafted blend of turmeric powder, potent turmeric curcumin extract with 95% standardized curcuminoids, and MSM to get the job done. ★ POTENT ANTIOXIDANT - Turmeric (often misspelled as Tumeric ) is one of the most researched herbs on the planet - and for good reason. Besides it’s broad use for a healthy inflammation response, this incredible root is also a potent antioxidant that supports brain health, heart health, and the overall cellular health of your entire body. Used for centuries in Ayurveda tradition. Consider getting two for uninterrupted usage. Click "Add to Cart" now to experience the natural power of Turmeric Curcumin for yourself! 100% SATISFACTION GUARANTEE – If within 30 days your unhappy with your product in any way just send it back to us and we will fully refund your purchase price. No questions asked. ORDER RISK FREE! Consider getting two for uninterrupted usage. 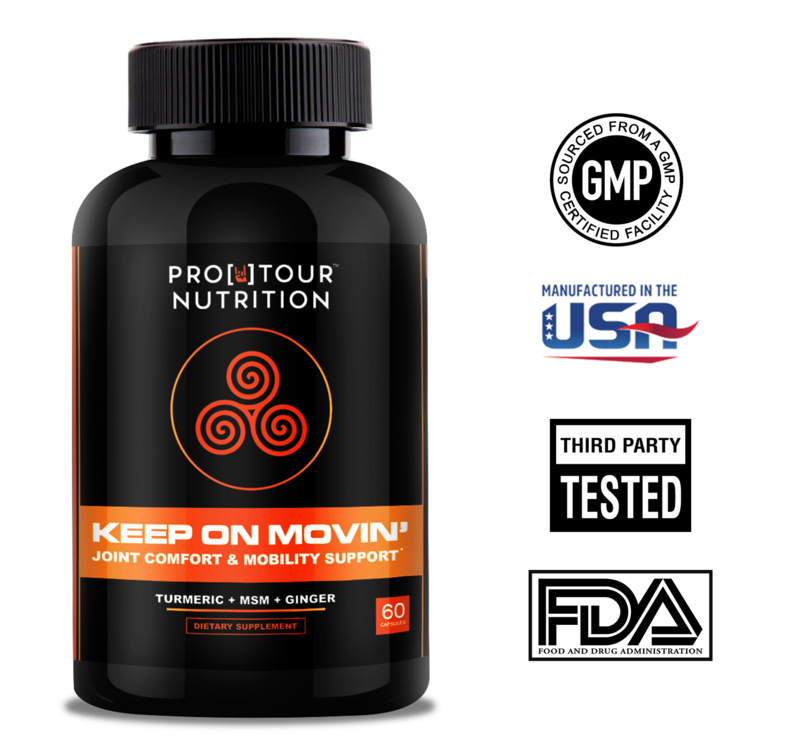 See below for a summary of the Keep on Movin’ ingredients: About The Ingredients: TURMERIC (also known as curcuma longa root) Is one of the most researched herbs on the planet - and for good reason. Besides it’s broad use for a healthy inflammation response, this incredible root is also a potent antioxidant that aids in brain health, heart health, and the overall cellular health of your entire body. From its ancient beginnings as an Aryuvedic spice and dye in India, it has since made its way into several cultures worldwide and used in herbal tradition for a variety of health purposes. CURCUMIN Modern research tells us that turmeric contains a compound called 'curcumin' that is responsible for it's desirable health benefits. We are able to isolate this compound and ensure that our formula includes a standardized amount of 95% curcuminoids for maximum benefits. CETYL MYRISTOLEATE In treatment of arthritis, cetyl myristoleate can be taken in supplement form and is also said to boost the immune system. Cetyl myristoleate is said to reduce inflammation, cetyl myristoleate is touted as a natural treatment for a number of health conditions. HYALURONIC ACID Is often recommended by dermatologists and other physicians for its ability to improve skin’s texture and appearance, along with reducing joint pain and other symptoms associated with aging. Hyaluronic acid is a lubricating, clear substance that’s produced by the body naturally. In the human body, hyaluronic acid is found in the greatest concentrations in the skin, inside joints, within the eye sockets and in other tissues where it helps retain collagen, increase moisture, and provide elasticity and flexibility. MSM What if I told you there was a so-called “miracle supplement” that could lower inflammation, fight the effects of stress and pain, raise immunity and increase energy levels? Would you be interested? Then you need to know about the MSM supplement. A well-researched benefit of MSM is that it helps decrease joint inflammation, improves flexibility and restores collagen production. 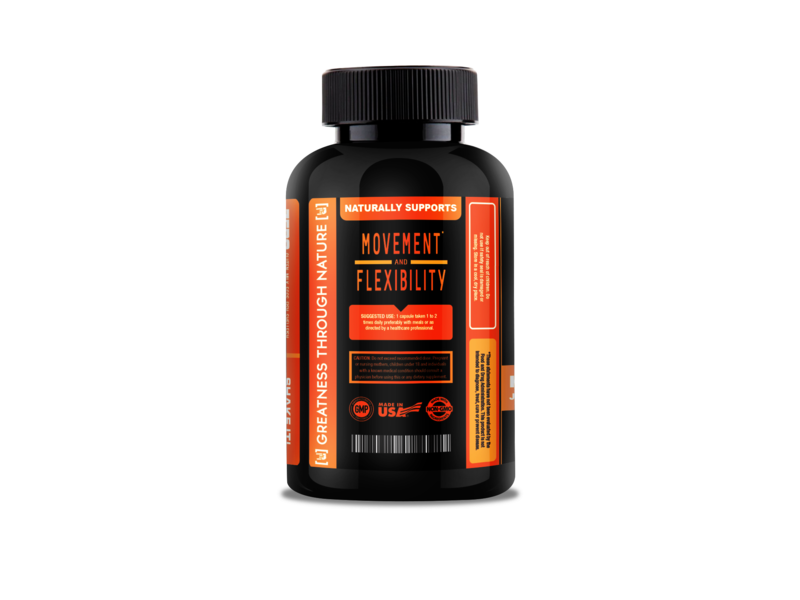 Research shows that many patients with arthritis, joint pain, stiffness, knee/back problems and a limited range of motion experience a reduction in symptoms and improved quality of life when taking an MSM supplement. HOLY BASIL LEAF Is an herb native to India, where it is known as tulsi. Findings from these various investigations suggest that holy basil might have some effects as a painkiller, a COX-II anti-inflammatory agent, an antioxidant, and as a treatment for bacterial, fungal and even viral infections. GINGER ROOT EXTRACT One of the top benefits of consuming ginger is it reduces inflammation, which we know is the root of most diseases. A recent medical study published out of Denmark in The Journal of Arthritis found that if you consume just a small amount of ginger, it is more effective at reducing your pain symptoms and inflammation than painkillers given by general practitioners today. GREEN TEA LEAF Has anti-cancer properties, it can lower the levels of bad cholesterol, it can prevent cardiovascular disease and it can also fight infections. Moreover, green tea has mild anti-inflammatory effects as well and it can help those who suffer from rheumatoid arthritis. BOSWELLIA SERRATE Is said to turn off reactions of the immune system that drive up inflammation, swelling and is capable of helping to fight pain in addition to inflammation.† Boswellia serrata extract is so powerful that today it’s considered comparable to NSAID pain relievers (the leading type of chemical anti-inflammatory medications). BROMELAIN Is a fascinating compound that has traditionally been used as a potent anti-inflammatory and anti-swelling agent.. Also, because it’s commonly used as a meat tenderizer, bromelain can also help soothe and relaxes tense, inflamed muscles and connective tissue. The widespread healing power of this enzyme is truly remarkable! SKULLCAP Is a medicinal plant that’s long been used for healing purposes, particularly in traditional Chinese medicine. This herb has been used as an alternative medicine to help heal inflammation, provide relief from spasms, stimulate blood flow in the pelvic region, help eliminate headaches, reduce fever, treat gout and works a sedative for relaxation. TRANS-RESVERATROL Is an important ingredient found in cocoa, red grapes and dark berries such as lingonberries, blueberries, mulberries and bilberries. It is a polyphonic bioflavonoid antioxidant that is produced by these plants as a response to stress, injury and fungal infection. BERBERINE HCI Comes to us from China and India, where it was first used in traditional Chinese and Ayurvedic medicines. Berberine is a natural alkaloid found in a wide variety of traditional herbs, including goldenseal, barberry, goldthread, Oregon grape, tree turmeric and phellodendron. Within these plants, the berberine alkaloid can be found in the stem bark, roots and rhizomes (rootlike subterranean stems) of the plants. Berberine known to be safe and well-known for their broad antibacterial and anti-inflammatory activities Click "Add to Cart" now to experience the natural power of Turmeric Curcumin for yourself! 100% SATISFACTION GUARANTEE – If within 30 days your unhappy with your product in any way just send it back to us and we will fully refund your purchase price. No questions asked. ORDER RISK FREE! MADE IN THE USA – All products are made fresh in a GMP certificated facility from in the United States. Legal Disclaimer: Actual product packaging and materials may contain more and different information than what is shown on our website. We recommend that you do not rely solely on the information presented and that you always read labels, warnings, and directions before using or consuming a product. *These statements have not been evaluated by the Food and Drug Administration. These products are not intended to diagnose, treat, cure or prevent any disease.